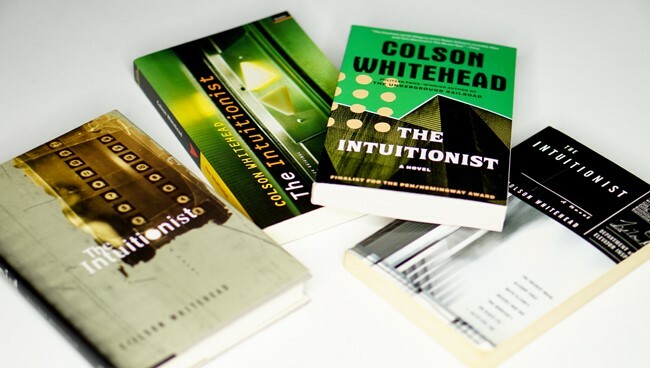 20 years ago this year, Colson Whitehead’s debut novel The Intuitionist was published. The book was in fact released on December 29, 1998. Most sources cite 1999, though, because of the copyright date. Whitehead’s novel received strong, positive reviews. Some of the praises were especially memorable. For one, in Time magazine, Walter Kirn, wrote that Whitehead’s book was “the freshest racial allegory since Ralph Ellison's Invisible Man and Toni Morrison's The Bluest Eye." Whitehead’s publisher placed Kirn’s comment as a book blurb on paperback editions of the novel. The association of Whitehead with those two greats, Ellison and Morrison, and their canonical novels likely resonated with many readers. The appearance of a promising black man writer in the late 1990s was also important for literary fiction since Ellison died in 1994. It’s possible that the industry and readers were looking for Ellison’s heir. A favorable review by Gary Krist in The New York Times closed with the observation that "Literary reputations may not always rise and fall as predictably as elevators, but if there's any justice in the world of fiction, Colson Whitehead's should be heading toward the upper floors." Well, maybe there was some justice. Whitehead's career has undoubtedly been one of ascent. He produced several remarkable works over the years, and has received substantial notice. The Intuitionist was the debut that formed the basis for Whitehead's wonderful, ongoing career.